6 Secrets Car Insurance Companies Don’t Want You To Know | Liggett Law Group, P.C. We all know how essential car insurance is. In most places around the world, you can’t even legally operate a vehicle without it. While the benefits of having car insurance are certainly clear, after an accident the auto insurance industry can make matters a little hazy, oftentimes leaving drivers feeling confused or left in the dark. If you feel your auto insurance provider leaves you hanging and withholds vital information, you aren’t alone. Many insurance companies use tactics to mislead or even trick the injured party into settling for a lowball settlement. Below we cover six secrets car insurance companies don’t want you to know so they can pay you as little as possible. For the sake of saving money and getting what you deserve, read our insights to learn what questions to ask and what answers to expect. 1.You can immediately hire a car accident attorney. Perhaps the worst lie we’ve heard from car insurance companies is you must wait to hire an attorney until a claims adjuster or representative from the company contacts you. This is simply not true. You can hire an attorney immediately after your car accident if you wish to do so. 2.If it’s your fault, you still might have a case. You might think if the accident was your fault, you don’t have a chance of recovering compensation for the accident. However, if the other party was 50% responsible, you might still have a case. Texas follows a “modified comparative fault” rule. This means both parties share the blame of the accident and some times split a certain percentage of damages paid. 3.You can get a second opinion. If you want to get the insurance company’s benefits, you will have to go through with their adverse exam and suggested examiner. However, you are also entitled to seek a second opinion to get more information behind the damages if you wish. This can be especially important as evidence in a lawsuit if you hire a lawyer and wish to obtain fair compensation for your case. 4.Your case might be worth more than they claim. While it might be tempting to immediately accept the amount the insurance company offers, it is important to first consider long-term effects of an accident. If you accept the settlement and later continue to suffer from what you thought were minor injuries, you might be out of luck. 5.Even if your claim is denied, you still might have a case. If your claim is wrongfully denied or your insurance provider does not compensate you with the amount you deserve, they are acting in bad faith. Hiring a lawyer who specializes in wrongfully denied insurance claims could help you get more fairly compensated. It’s important to remember you have rights. If you find yourself suffering from short or long-term effects of a car accident, you can still take action. Always try to keep evidence and important documents from your accident to use in a case down the road. Always remember you can hire a lawyer to protect your rights if necessary. 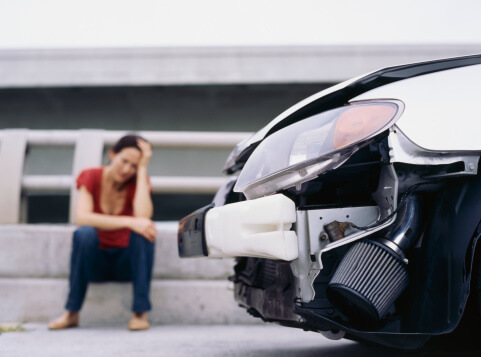 If you or a loved one has been involved in a wrongfully denied insurance claim after a car accident, we can help. Contact the auto accident attorneys at Liggett Law Group for a free consultation today.